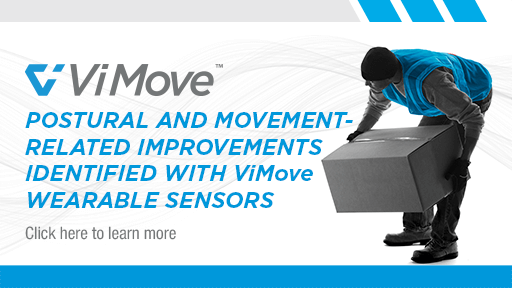 ViMove2™ features smaller, faster and easier to use wearable motion sensors, together with a simplified software interface, improved reporting tools, out of clinic monitoring, comprehensive exercise video library and a free patient app to deliver assessment data, customised exercise programs and facilitate out of clinic monitoring. 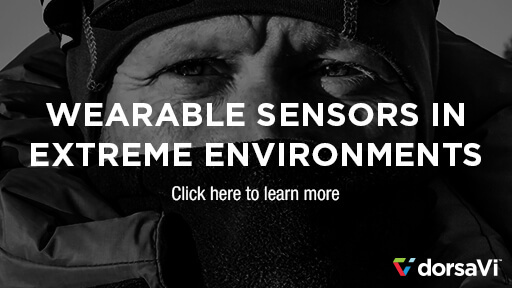 Unobtrusive and easy to use movement sensors for inside and outside the clinical setting. 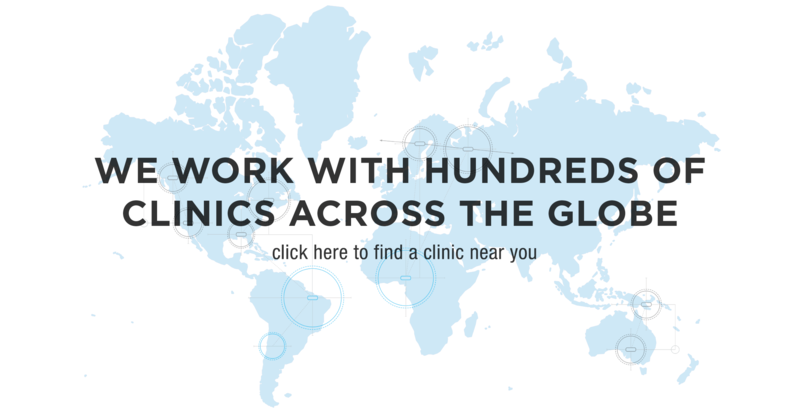 Manage workplace or sport injuries, guide rehabilitation, improve recovery and performance. 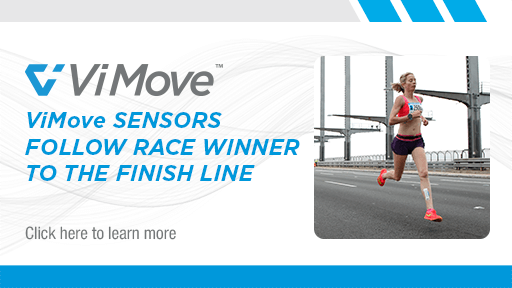 Captures real-time movement data and tracks treatment effectiveness and progress. 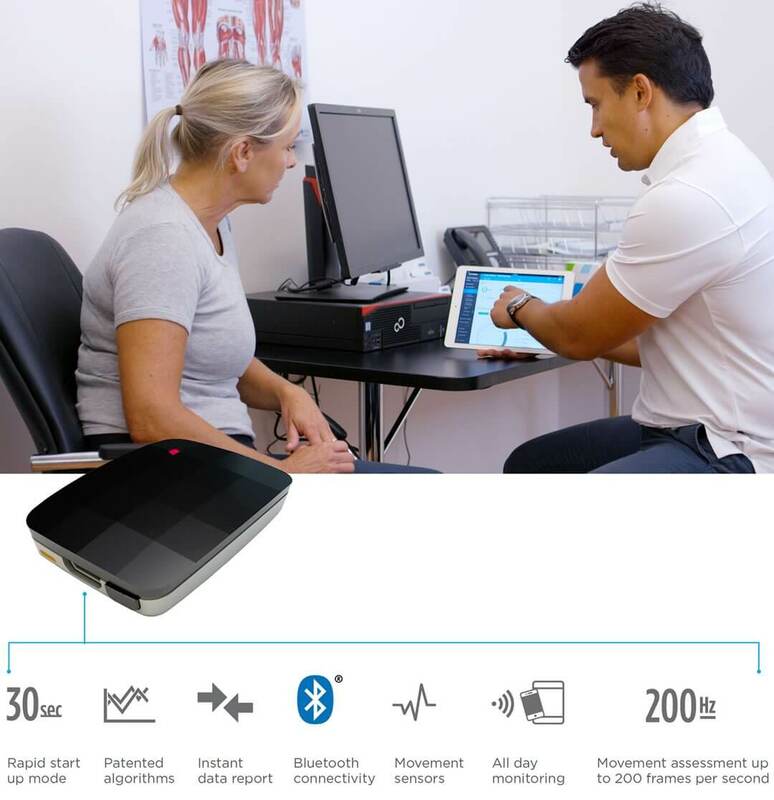 The human body sensors provide a unique look and movement profile that details how your patient moves in their real life. 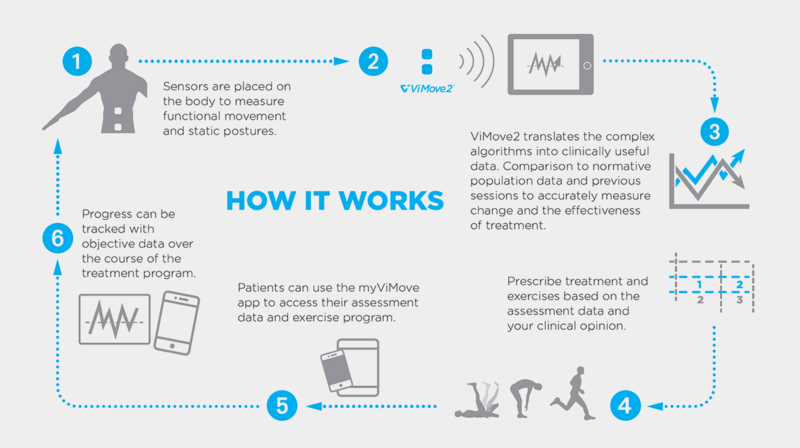 The myViMove™ patient app gives tech-savvy patients the control and data they are looking for in their recovery or rehabilitation. 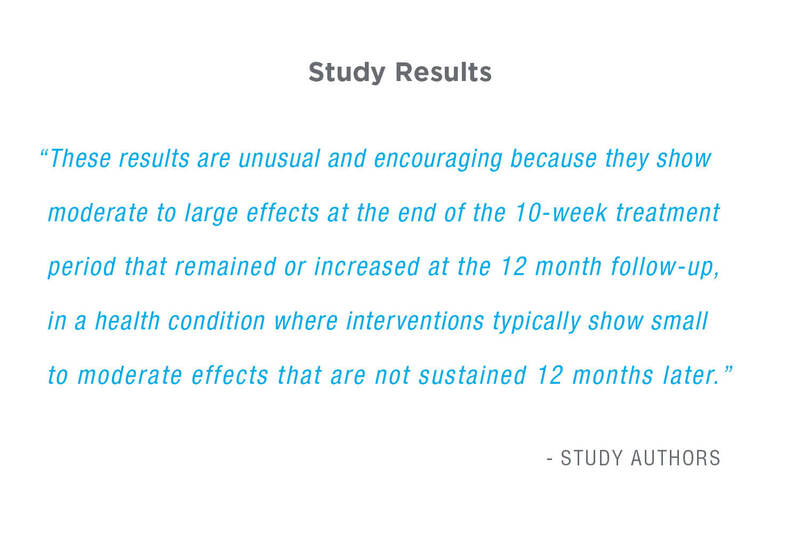 Every back pain patient is different and a one size fits all treatment approach doesn’t always work. 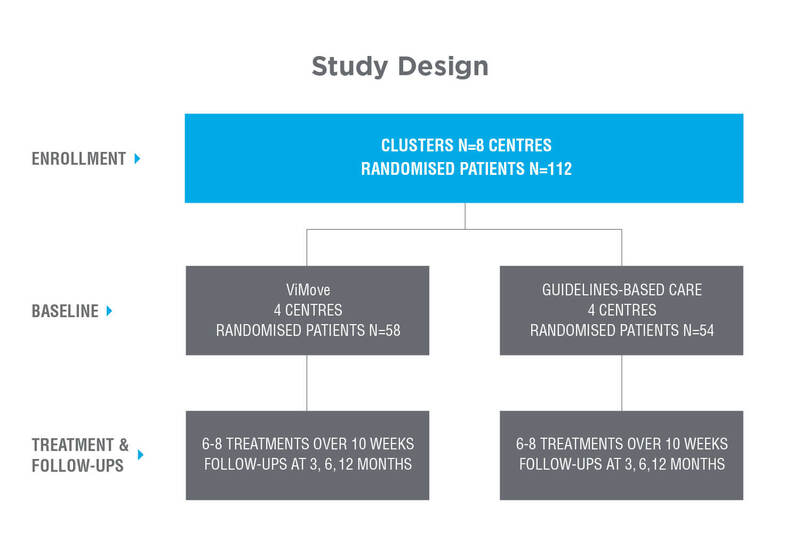 ViMove2 provides you with the tools you need to understand your patients’ low back movement both in and out of the clinic, and deliver tailored treatment, or rehabilitation programs that produce real results. 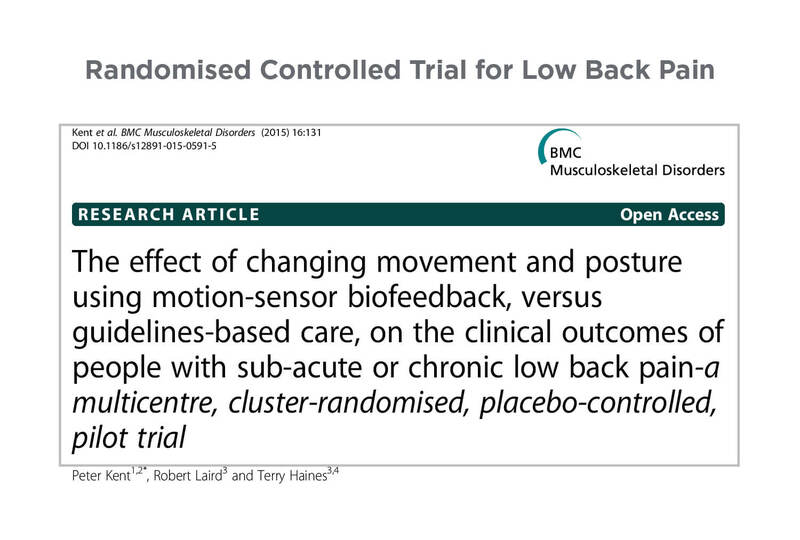 Accurately assess range, timing and quality of functional back movement as well as static standing and sitting postures. 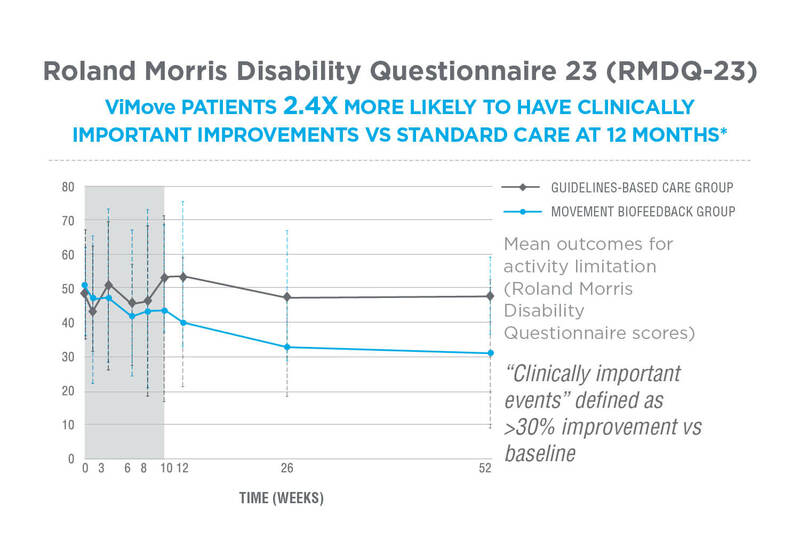 Compare patient results to age-based normative movement data to better plan their recovery from the back issue. 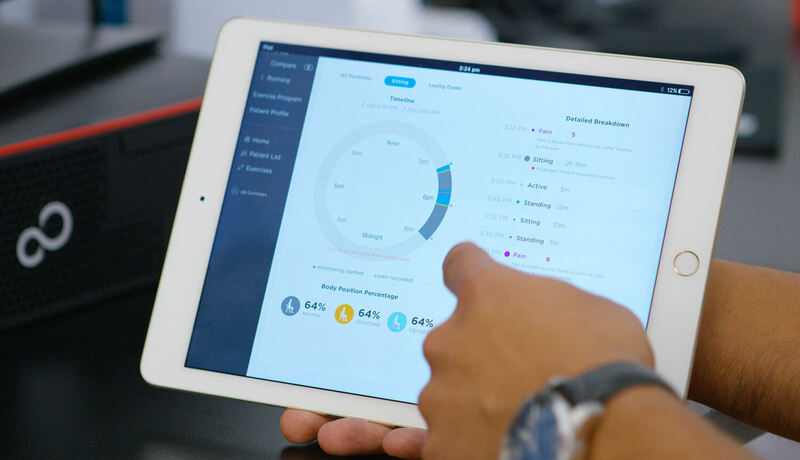 Track results over time to ensure your patient’s treatment is on the right track for both recovery and further back injury prevention. 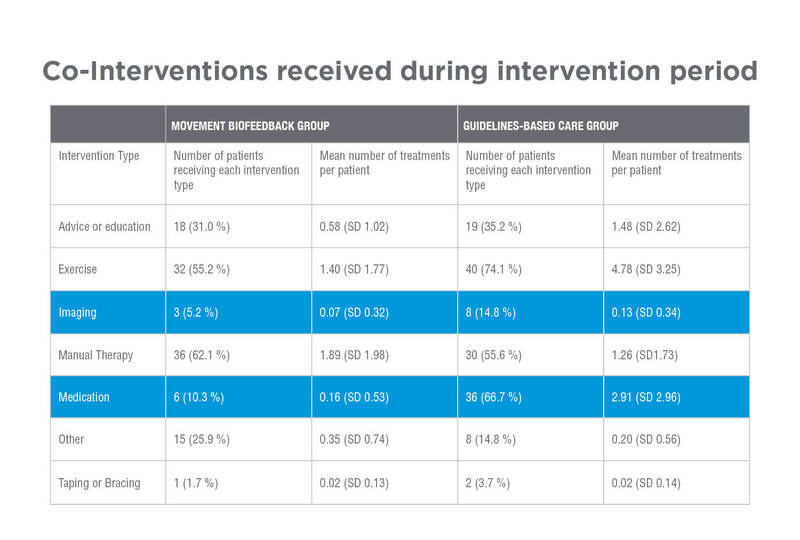 Customise activity goals and recovery plans for your patients with back pain to remind them to modify their movement behaviour. 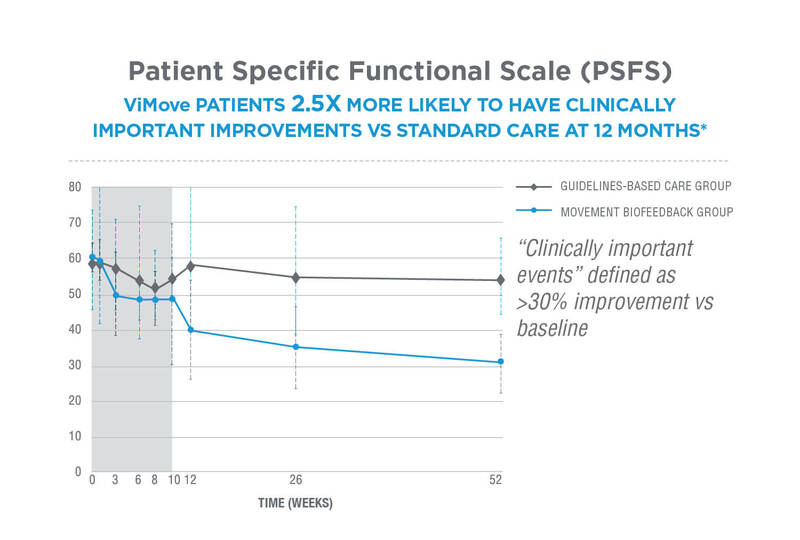 With ViMove2 Monitoring, patients can wear the movement sensors out of the clinic for up to 24 hours – measuring active and sedentary behaviour. 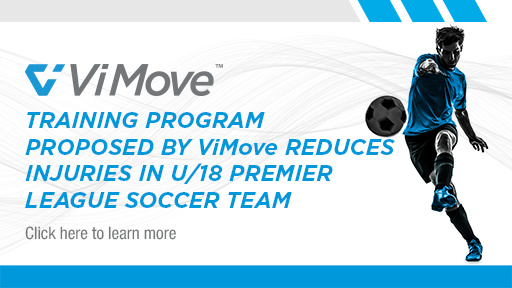 Use ViMove2 to assess knee kinematics when your patient is performing dynamic movements. 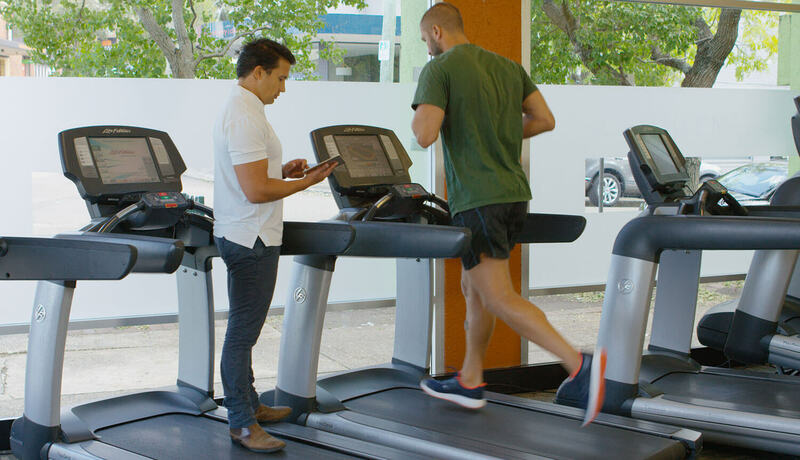 Accurately measure range, speed and direction of knee movement in two planes while performing high-speed tests to assess knee movement such as vertical hop and squat. 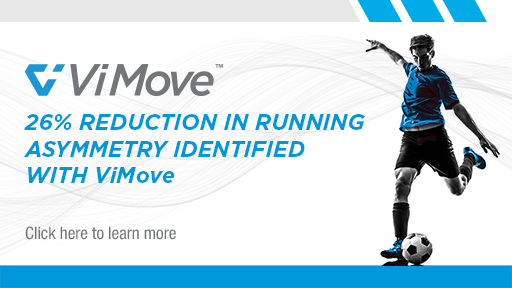 Measure knee movement metrics including varus/valgus speed, speed of collapse, flight time and tibial inclination. 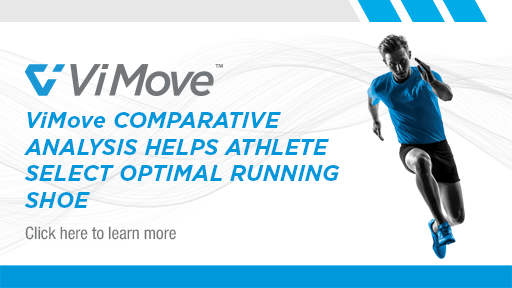 Perform repeat assessments to understand movement consistency in the knee and uncontrolled movements. 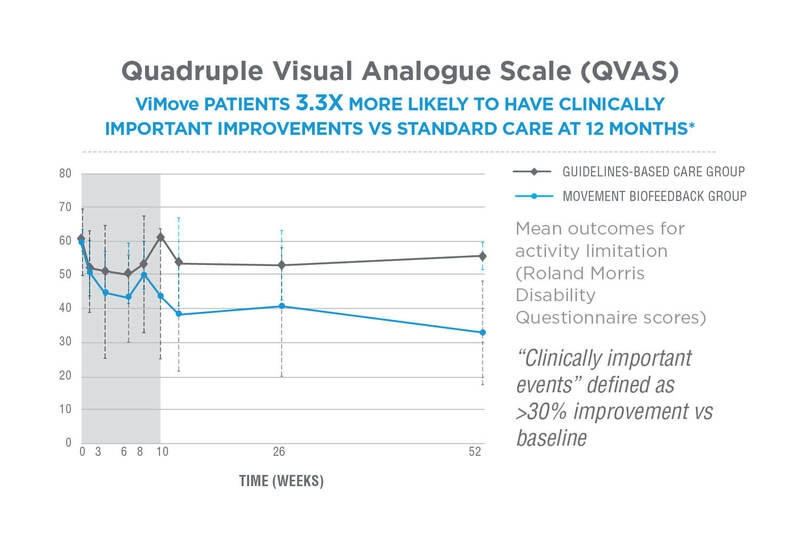 Share report results with your patient using the myViMove patient app and prescribe knee exercise or rehabilitation programs from the ViMove2 library.